The QVB has opened its doors to A Fairytale Christmas. Visit the centerpiece of Christmas in the City, the Swarovski Christmas tree. 24 meters tall, spanning 3 floors, covered in 100,000 crystal ornaments and 65,000 lights. On level 2, the QVB Enchanted Garden welcomes visitors amongst blooming wildflowers, woodland creatures and spell binding lights to see Santa Claus and the Christmas fairies. 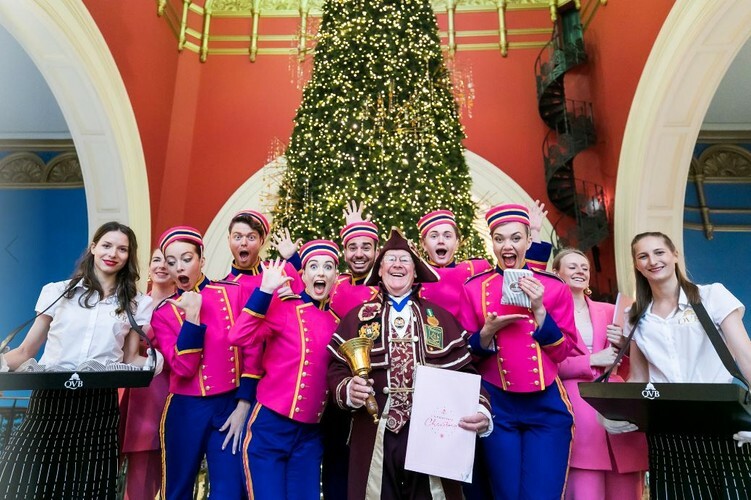 On selected dates, come and delight in the all singing, all dancing QVB cast of Christmas Porters, Usherettes and Gifting Assistants, who will be on hand to make your Christmas shopping a breeze. Throughout the festive season carolers will echo underneath the QVB dome, preforming a line-up of Christmas carols to keep the festive spirit truly alive. With an exclusive QVB Christmas brochure and online gift guide highlighting the picks of the season, bespoke QVB gift wrapping from the team at It’s a Wrap, Christmas workshops and Tea Rooms bespoke Christmas High Team the QVB’s 2018 festive season brings the magic of Christmas to life in the most mesmerizing way.